Do I need them ? How do I word them ? When do I send them ? 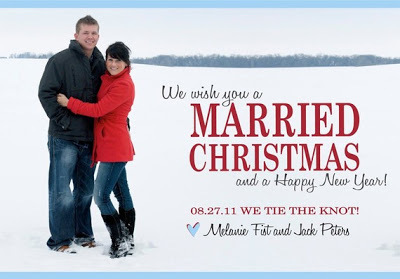 HERE IS AN IDEA : Send out Christmas Cards! You and your fiancé took some beautiful engagement pictures and it is a shame to keep them to yourself. So why not send out Save-the Date Christmas Cards. Make sure it is OK with your chosen photographer and use one of the quick and easy ways such as SHUTTERFLY, WALGREENS PHOTOS and many others to upload, design, print, and even mail them out! Save the Date Cards are announcements that inform your guests of your future wedding in order to keep your special day free on their calendar. Save the Date cards are generally sent at least 4-6 months prior to your wedding. For seasonally busy or on or around a holiday it is best to send them 9-12 months in advance. Your guests will then have ample time to make all the necessary arrangements needed to be a part of your special celebration and may even extend it into a vacation of their own. Use your imagination - Save the Date Cards are not meant to be formal. There are many design options available. You can have them match your wedding invitations, post card size, you can add a picture of you and your fiancé, or embellishments to add a personal touch. Also, because Save the Date Cards are still a recent trend. Many that have not attended a wedding recently may mistake them for the actual invitation. Be sure to include something along the lines of, "Invitation to Follow", "Invitation and Details to Follow", "Invitation Will Follow". This is usually placed at the bottom of the card.